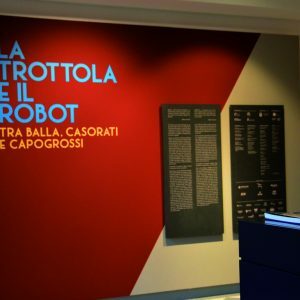 On 11 November 2017, at the PALP Palazzo Pretorio in Pontedera, the great exhibition La trottola e il robot was inaugurated. Between Balla, Casorati and Capogrossi, curated by Daniela Fonti and Filippo Bacci di Capaci and promoted by the Foundation for Culture Pontedera, by the Municipality of Pontedera and by the Pisa Foundation, in collaboration with the Biorobotics Institute of the Sant’Anna School of Advanced Studies in Pisa and with the patronage of the Tuscany Region and the Ministry of Cultural Heritage and Activities and Tourism. 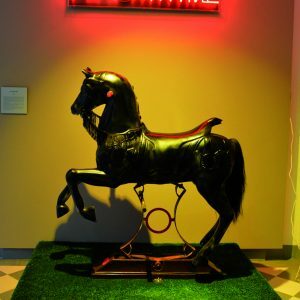 The exhibition, which will run until April 22, 2018, is born around a prestigious collection of vintage toys owned by the City of Rome, presenting together with the antique toys about 110 works by Italian artists active between 1860 and 1980. The top and the robot compares two aspects of creativity linked to childhood, that which translates into concrete objects, toys, once created by artisans and then by industry, and what represents and interprets children’s play in the figurative arts and Italian plastics, from the late nineteenth century to the second half of the twentieth. These are two separate universes, which only from time to time have found a way of mirroring the ones (the toys) in the others (the works of art) and the long story of figures and objects that unfolds in the exhibition halls of Palazzo Pretorio offers from different, dialectical or integrated points of view an unprecedented and suggestive observatory on the changes of Italian society over the decades, on the variations of pedagogical models, of life and thought and on the often controversial relationship between the adult world and that – much more mysterious – of the children. 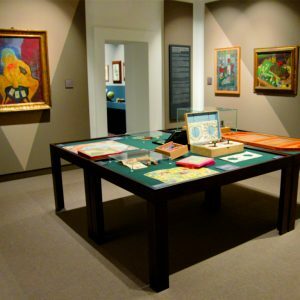 The works of Italian artists who have favored the theme of childhood, will talk in the exhibition, around some key themes, with nuclei of playful objects, chosen from time to time for their social value, didactic, but also more symbolically and dreamlike ; of these will be highlighted the formal change, the alternation of the materials in use, their drawing on technological changes in progress. 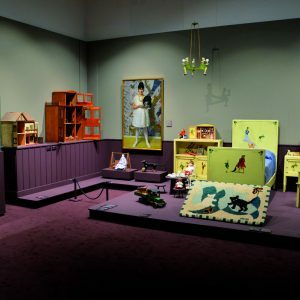 Among the significant themes identified in the exhibition sequence, the house coincides with the representation of the internal space, of the domestic intimacy in which the daily life of the adult and the child’s play takes place. Large doll house models, differentiated between the upper middle class and the more modest model, vintage dolls, miniature furniture are compared to the works of Zandomeneghi, Balla, Casorati, Cambellotti, Francalancia, Campigli, Viani, Pirandello, Novelli with toys created by artists. The relationship of the child with the life of adults, besides in the game, is configured in the models of child education that are traditionally associated with it; the artists gladly portray the moments of the child’s education, from school learning to education to singing, music and reading. 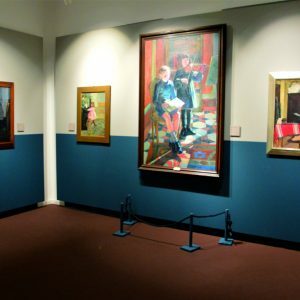 In the works hall of Mancini, Cambellotti, Lloyd, Levi, Capogrossi, Casorati, Mafai, Pirandello. The game outside predisposes the child to a different perception of the world with an expansion of the imaginative horizons in which the full perception of the self and the movement, the theme of the journey, of the exoticism; on the walls works by Muzzioli, Corcos, Boccioni, Müller, Erba, Magri, Sartorio, Capogrossi, Gentilini. 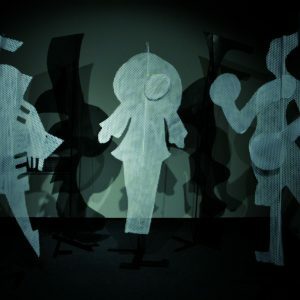 The theater and the circus protract the amazement of the game until adulthood; the works of Balla, Cambellotti, Depero, Casorati, Natali, Capogrossi, Levy are inspired by this “double” fantastic of the world that is always renewed and are compared with theatrical models, rides for children and puppets. Ageless games recalls the pedagogical value of the game, the ability to develop in the child, and later in the adult, his learning skills, critical faculties and all those attitudes to the organization of action in space and time; the paintings and sculptures (by Boccioni, Pasquarosa, De Pisis, Raphael, Severini Novelli, Santoro, Novak) have as protagonists the games, from domino to cards, from chess to tarot. 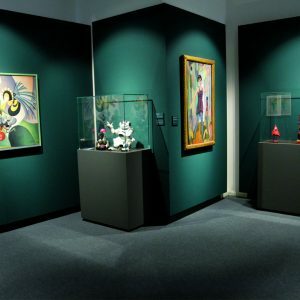 Finally, the automaton room refers to the development, illustrated through the toys present in the collection, of the theme of automation, which from the first ingenuous spring elements reaches the most sophisticated modern devices. Many artists who in the course of a century have reflected on the possibility of creating mechanically animated copies of himself, on man / dummy ambivalence, on his transformation into a mechanical robot: the Metaphysics, Futurism, and later the irate Patafisica have a several shots relaunched the theme, with expressionist, playful, tragic or ironic values ​​(in the exhibition works by Grassi, Sironi, Pannaggi, Prampolini, Depero, Casorati and Baj). 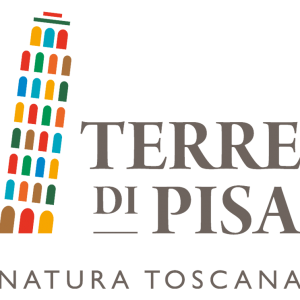 In this section, a significant connection is established with the field of research in biorobotics conducted by the Istituto Sant’Anna di Pisa, an Italian university center of excellence and partner of the exhibition. The exhibition is accompanied by a catalog edited by Daniela Fonti and Filippo Bacci di Capaci, with texts by the curators, by Biagi, Giovanna Conti, Paolo Dario, Emma Marconcini, Gianfranco Staccioli e Claudia Terenzi (Bandecchi & Vivaldi).